In the summer months, as the temperature climbs to extreme heats, it is often tempting to blast the air conditioning. Unfortunately, not everyone has air conditioning, and even if you do, using it too often can become a huge, unaffordable expense. No one wants to be in a home that feels as hot as the outside air does. Another way to keep your home cool during the summer months is to use window treatments to block out the warmth. Here are a few effective ways to use window treatment design ideas to keep out the summer heat all season long. Instead of wasting money on your energy bill each month, Contacting a company such as Colorado Roof Toppers can help you with your window treatments strategically so that they are practical as well as design forward. One helpful idea is to hang long, heavy window curtains. Heavy window curtains have been used for centuries to trap heat away but also as décor. While heavy materials may make you think or warmth and heat, in reality, heavy curtains work best to trap heat that comes through your windows so that it doesn’t reach your living spaces. Closing these heavy curtains during the daytime will keep the hot sunlight out, trapping it between the curtain and the window so it is not able to impact the internal temperature of your home. Keep these curtains design forward by choosing a great color or pattern that will compliment the rest of the decor in your home. Another idea is to purchase blackout shades. These shades are significantly more effective at keeping out light than regular, slatted window blinds. Blackout shades are neutral and discrete. They will also block out all sunlight, keeping your rooms cool. Plus, they are awesome when you want to take a mid-day nap, since you can have instant darkness! You can also install exterior window blinds. These are typically made from a variety of materials including vinyl, wood, steel, or aluminum. They will attach to the top of the window and the channels will guide them so you can raise or lower the blinds as needed. When closed all the way, the slats fit together to block all light. When slightly closed, they allow some sunlight through without overheating your home. Window awnings are another effective way to keep cool in the summertime, plus they add a great, unique effect to the exterior of your home. They will also provide shade on the inside and the outside of your home so they are multi-purposed! Awnings can reduce heat gain in your house by anywhere from 65-77% with proven results! There is also a new way of preventing heat from coming into your home called Smart Windows. This still allows you to get the sunlight you desire, but without the heat. These windows are made by a nanocrystal glass that allows users to adjust how much sunlight or outside heat they want. This invention can decrease the amount of electricity used, ultimately reducing the use of air conditioning! 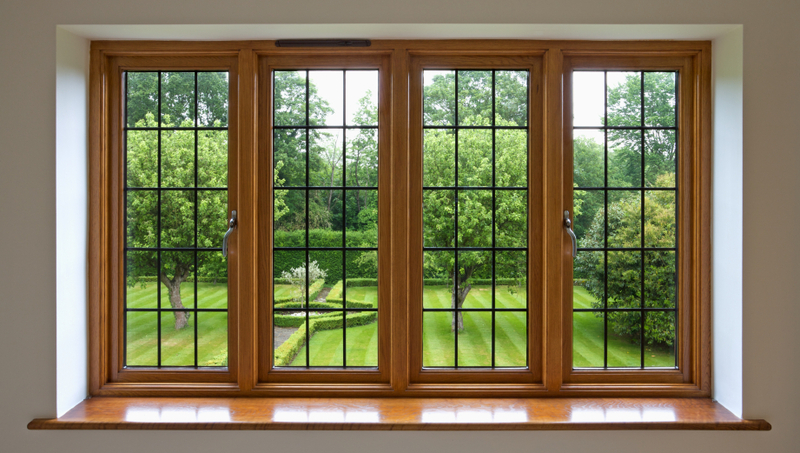 Clearly there are endless options available to homeowners who want to utilize windows treatments to block out heat and keep their homes cool during the warm, summer months. Window treatments like blinds, curtains, and architectural louvers are sure to present an effective as well as cost efficient way to keep cool in the summer in an eco-friendly and affordable manner without wasting energy necessary to crank up the air conditioning. Not only do these window treatment options work, but they are also design savvy, so they will look great with the decor of the rest of your home, on both the inside and the outside.